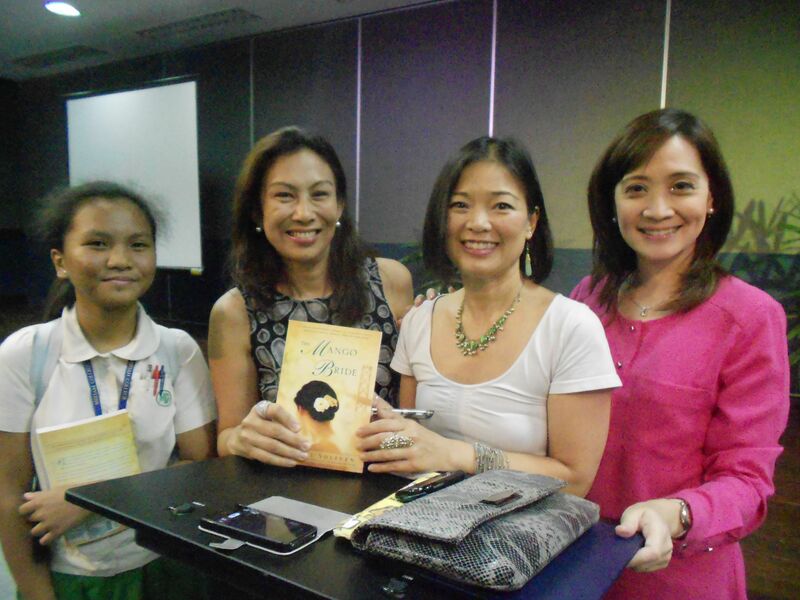 Weeks Three and Four of the Manila book tour featured a series of scheduled events for The Mango Bride and several unexpected developments that intensified the feeling that I ‘d entered the Mad Hatter’s version of a book tour. Each day I awoke at 6, fully intending to do an hour of yoga, reply to emails and chat with my family before the next book talk. And each day I wound up gulping down tea, jumping into the shower and running off to the next event, having spent more time than anticipated on some minor errand . The flip side of It’s More Fun in the Philippines? It’s More Traffic in the Philippines. The trick, I finally learned, was to work with the slowness of Manila’s pace instead of fighting it. Thank goodness for the family driver, for now I can type in traffic. 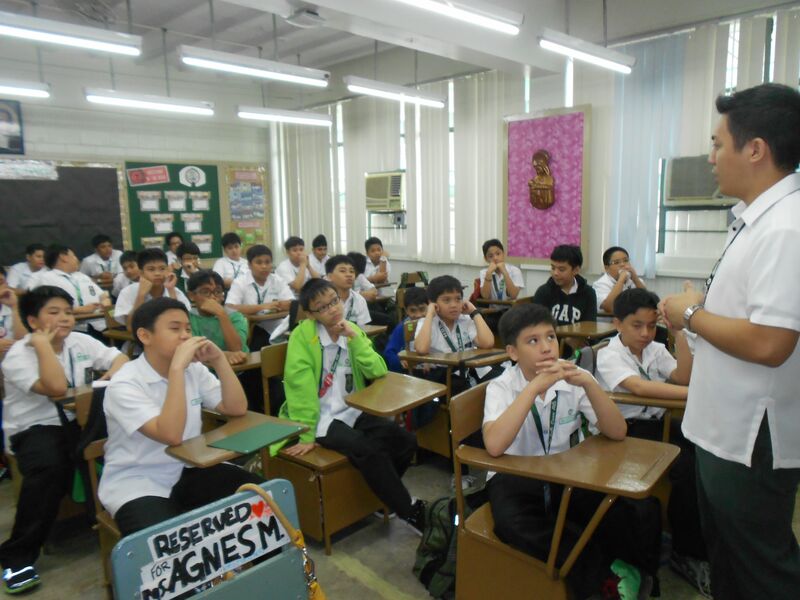 Monday the 5th was an 8:30 chat in La Salle grade school about The Mango Bride’s path to publication. My nephew Carlos had asked me to speak to his 7th grade class, and though most were too young to read my novel, they asked lots of interesting questions. Only the teacher, Mr. Jamby, was old enough to read my book. 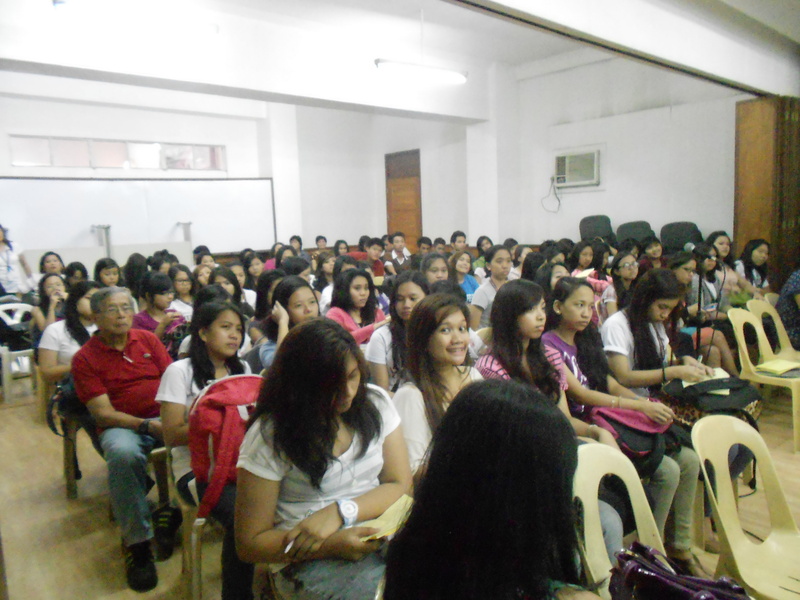 Wednesday August 7 was a true homecoming, a lecture in the University of the Philippines, Diliman, campus of my fondest memories. Chapter 7, “Amparo and Mateo” was my love letter to UP Diliman. 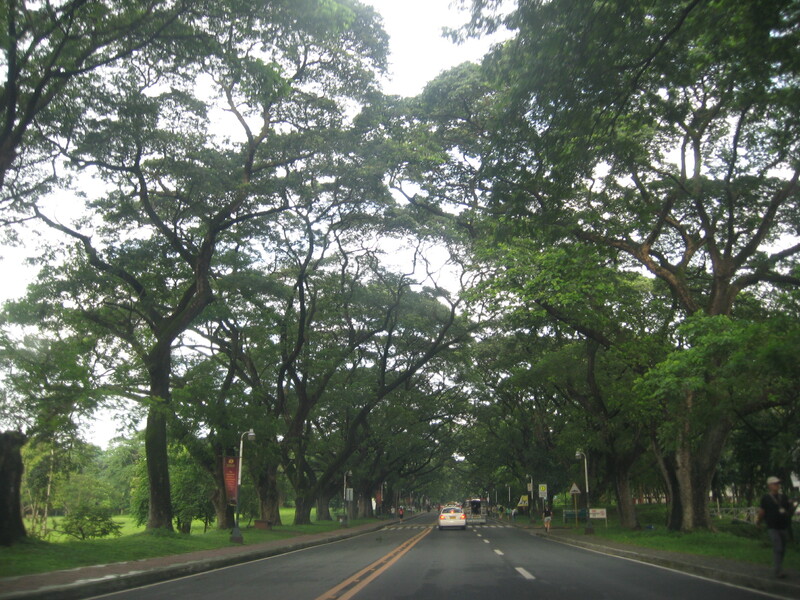 The acacia trees around the academic oval were planted in the early 1950s by my father’s best friend and fellow UP classmates. Poet and Professor Emeritus Jimmy Abad said the prologue of The Mango Bride reminded him of Henry James’s comments on “the solidity of specification.” It doesn’t get better than this! I studied as an undergraduate at U.P. Diliman then taught English and Creative Writing classes for a few years as an instructor in the Department of English and Comparative Literature. In the audience was Sylvia Mendez Ventura, one of my favorite professors, in whose class I read Jude the Obscure, Tess of the D’urbervilles and The Mill on the Floss. How cool is it that I managed to use Hardy’s novel in The Mango Bride? The next evening we drove across town to Sev’s Cafe for the first staged reading of scenes from The Mango Bride. I’ve read the Day of the Dead, 1988 chapter multiple times but having a man read Lydell Kinkade III’s parts made a huge difference. Born of an American father and Filipina mother, Chris Arenson has lived in both the United States and the Philippines. After graduating from the Ateneo, Chris founded his own performing arts company . Ipat Luna, environmental Warrior Woman and the moving force behind Sev’s Café read Beverly’s lines; I played Lisa Patane. The man filming us with an IPad is Ipat’s husband, Howie Severino, GMA’s vice president of Multi media programming and co-anchor of the morning TV news show GMA News to Go. 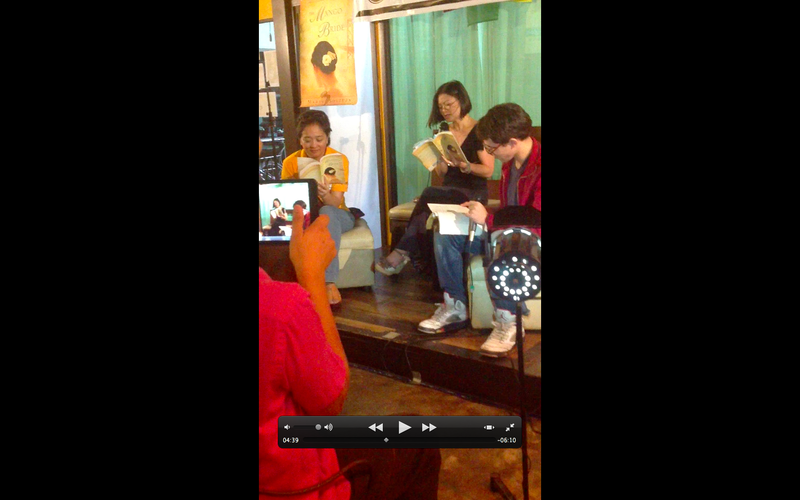 Ipat Luna on my right, Chris Arenson on my left, we read to a small but enthusiastic crowd. Saturday night, I took a break from The Mango Bride tour to read at the Saturday evening launch of Querida an anthology of fiction and poetry about mistresses. The short story “Talunang Manok” was originally published in my short fiction collection Spooky Mo, but since its plot featured a querida, the anthology’s editors saw fit to reprint it in their book. 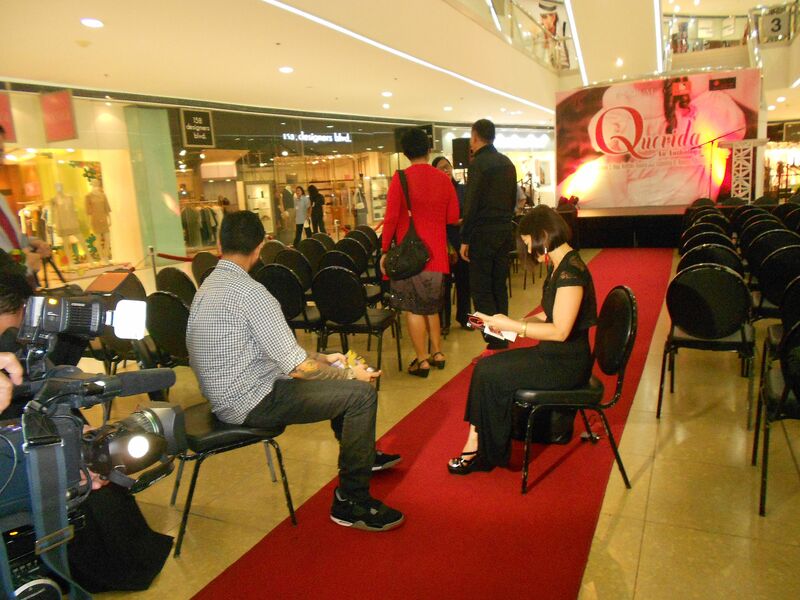 The launch was held in the atrium of Podium mall and filmed by the Channel 5 news crew. Several other contributors and I read to a good-sized crowd that grew each time shoppers riding up the escalator decided to linger before moving on. The show’s emcee Danton Remoto joked that because of the buzz generated by The Mango Bride, I was “Homecoming Queen” among the contributors. 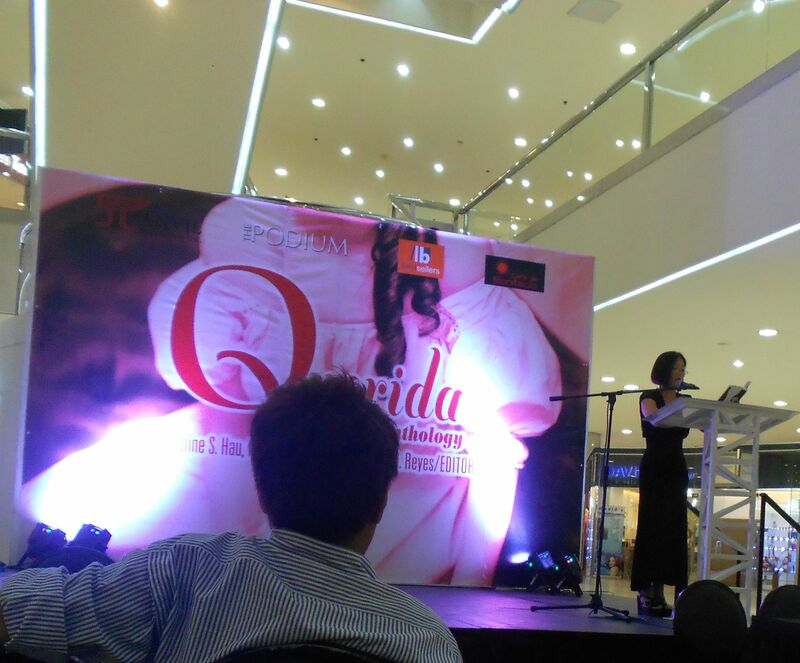 The Querida launch was held at the atrium of Podium Mall. One might have expected events to taper off by the fourth week. Instead, they escalated. After a Sunday of reunions with family and friends I returned to U.P. Tuesday morning to chat with a Comparative Literature class of grad students who’d been assigned to read the Mango Bride. From there we moved on to a four hour marathon of meetings and reunions at Via Mare cafe: Lunch with Professors Ruth Pison (with whose class I’d spoken) and Jimmy Abad. After they left, the novelist/screenwriter Butch Dalisay arrived to have coffee and offer advice on how one’s novel might survive the rigors of being converted into a film. 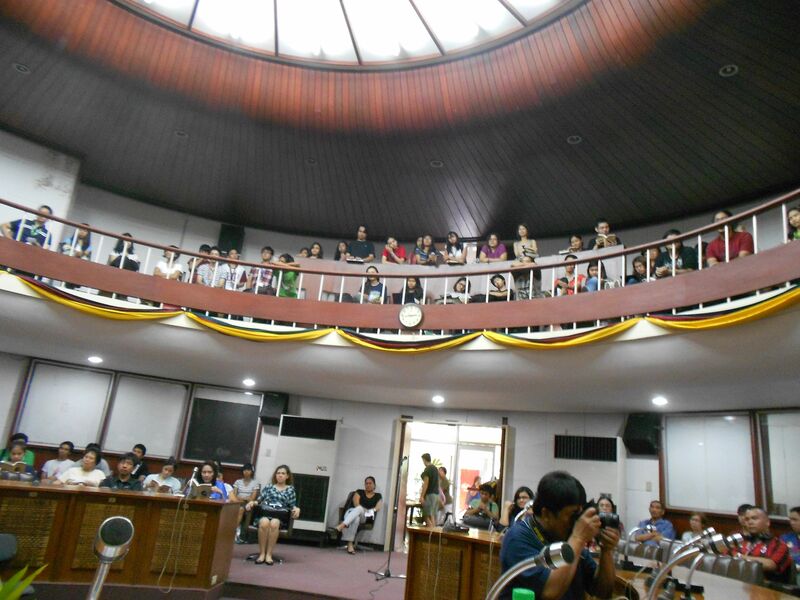 As he left to catch a class, a third shift arrived for coffee: Ladlad Party leader, radio talk host and poet Danton Remoto and Anvil publisher Karina Bolasco. I sat at the restaurant for over four hours. 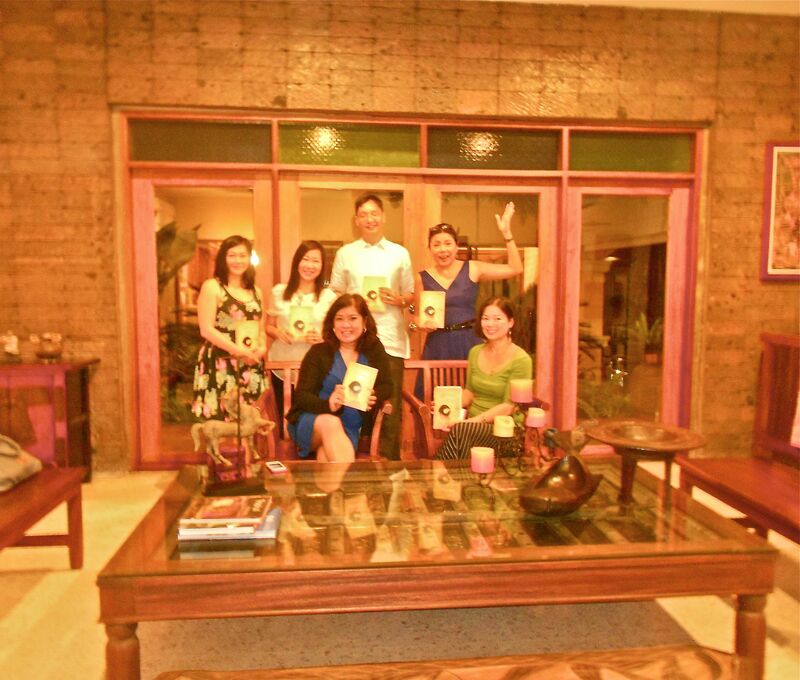 My first book club meeting in Manila in Judge Rhona San Pedro’s lovely home. The book club’s members conducted an impassioned debate over plot issues, questions about characters and which actors to cast in the film version of The Mango Bride. They were delighted to learn I’d turned down a chance to meet one of the country’s foremost actresses and directors in favor of chatting with them. By 5 a.m. on Wednesday I was prepping for the next campus lecture: a hundred high school students at Beacon Academy, a posh new IB school in Laguna. Beacon Academy has its own version of TED talks. 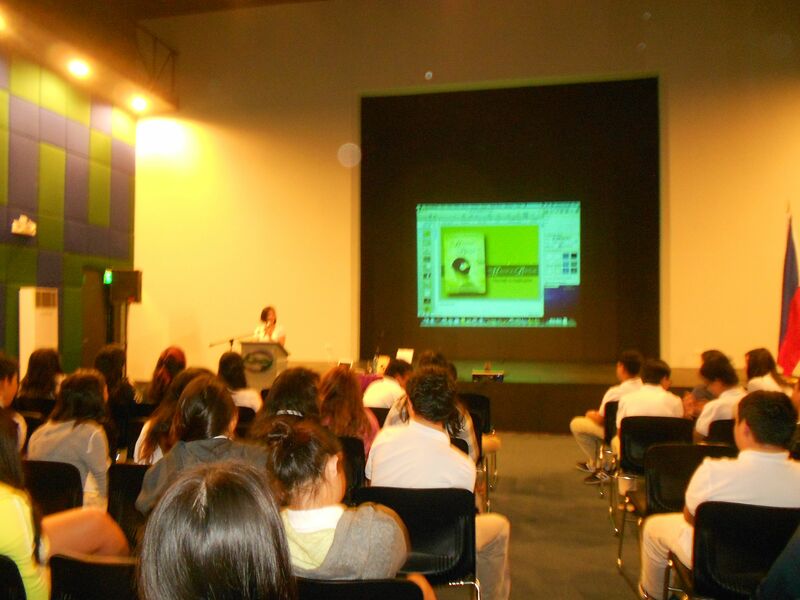 I was the first speaker of the school year. Balancing work with play that day, I visited with friends from another lifetime at Van Gogh is Bi-Polar. 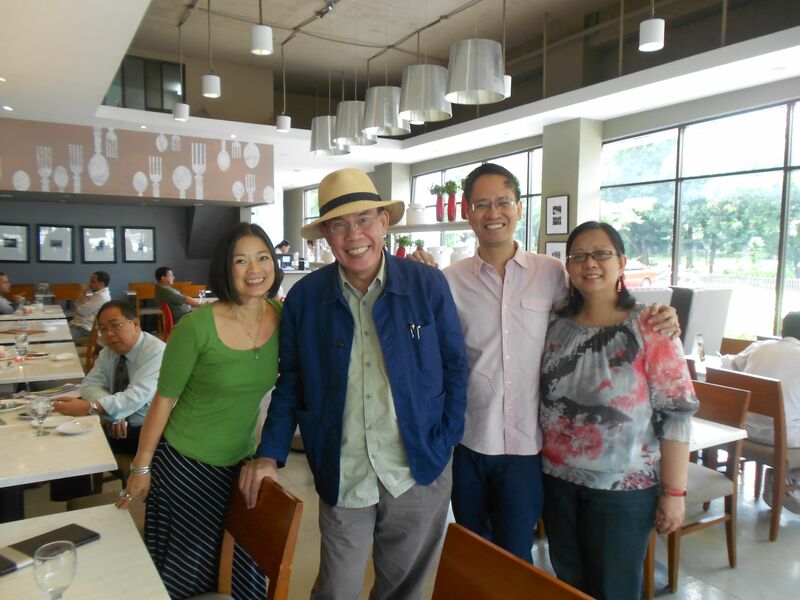 Robert Alejandro and I were an art director/copywriter team at McCann Erickson in the ’80s. He later illustrated my first and 10th books for children. Robert has since gone on to design malls, books and building-sized murals. 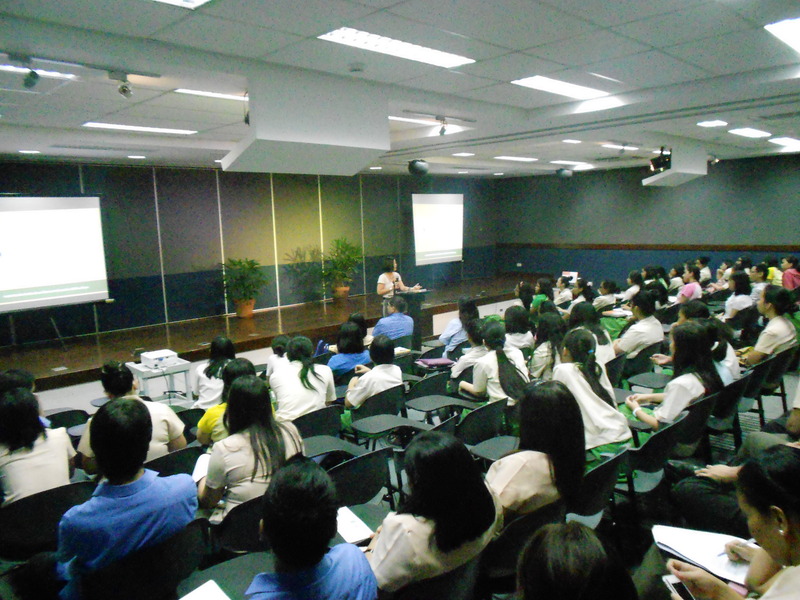 Jenny Villalon Tapales, our account manager at the ad agency now runs a school of her own. 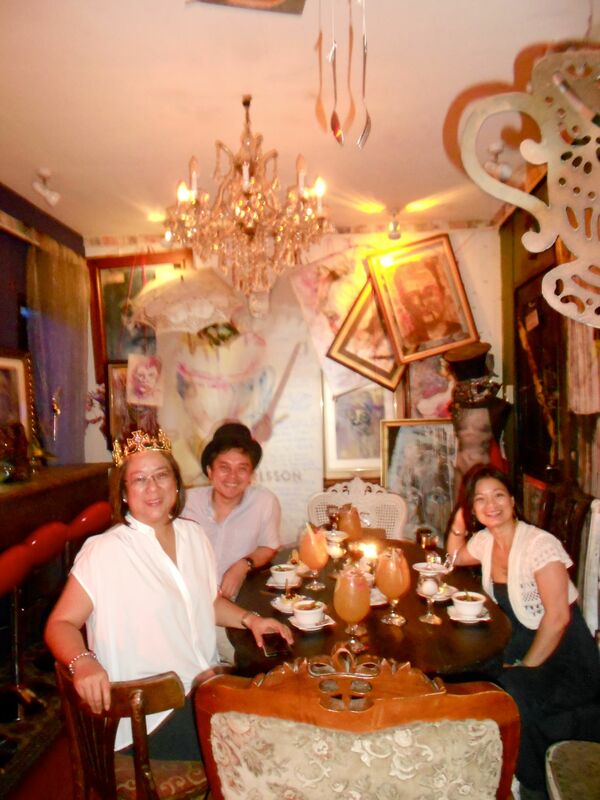 Van Gogh is Bi-Polar’s quirky chef/owner makes all his diners don headgear before dinner, but my tiara kept slipping off. We didn’t have an air-conditioned auditorium when I last studied here! Nina Daza Puyat and Maricel Reyes Mendoza, two classmates from decades past, introduced me to Glecy, the scholar whose tuition is paid for from the royalties of a book our high school class self-published. I nearly regretted volunteering to edit that anthology of autobiographical essays, but meeting Glecy made it all worthwhile. 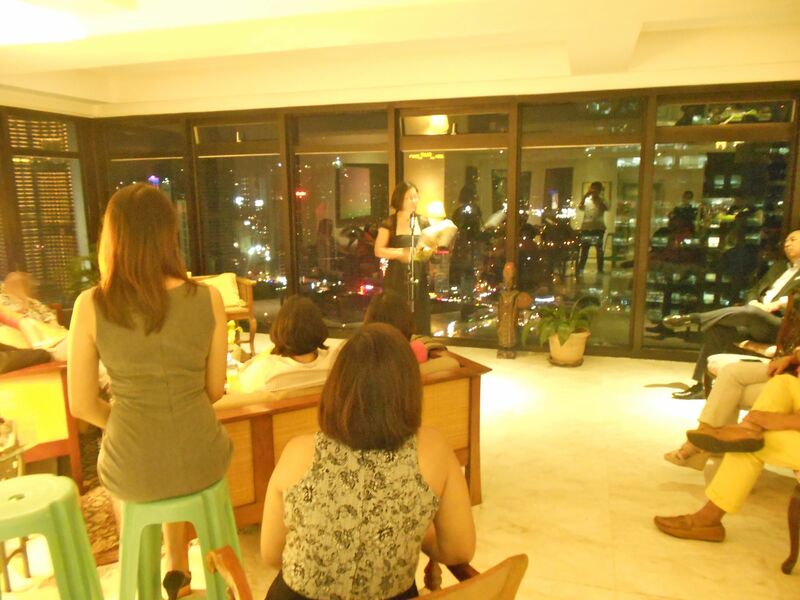 Right after that lecture, there was a quick stop at home to switch outfits before jumping back in the car for my third and last appointment of the day, reading at a private gathering of friends in the vertigo inducing sky-rise home of Rollie Gosiengfiao. Three readings, three costume changes in one hectic color-coded day. 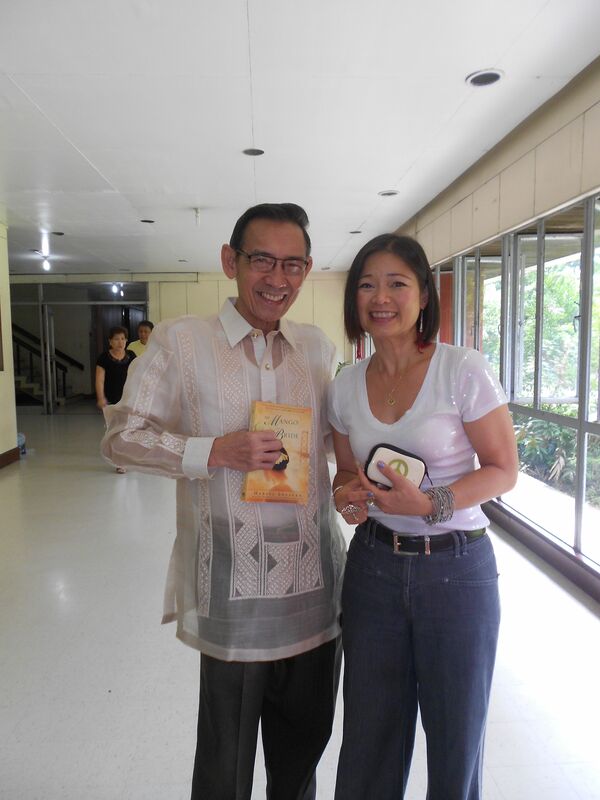 Friday was double billed too: a morning book talk for 120 students and teachers at Philippine Women’s University for me; and an afternoon lecture at Ateneo de Manila University for my husband. By Friday afternoon, American Ambassador Harry Thomas had extended a dinner invitation to read at his residence Monday night…. but weather interfered. Wow you are really having a most hectic visit. It’s good Carol and I got our cocktails in early! Hope this drums up books flying off the shelves, a new order from NBS and a new print run! I’m exhausted! 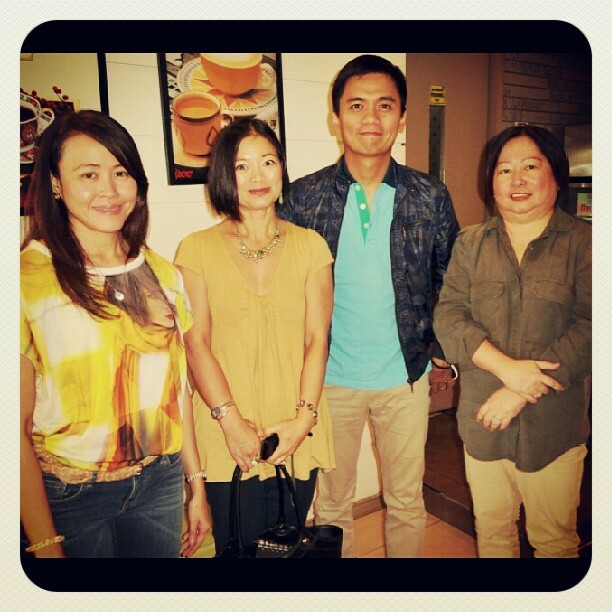 Thanks for inviting me along for your more-than-fabulous book tour. Whoa, real whirlwind of a Manila visit for you. Hope you can relax a bit and do your yoga, he he. Very useful info specifically the last part 🙂 I take care of such information a lot.